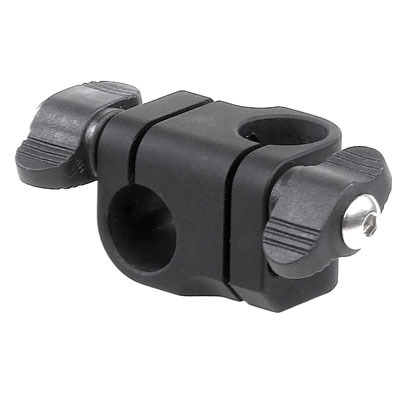 The CS-151 clamp is fabricated from precision milled high grade aluminum with a black anodized finish. The CS-151 features a memory setting when used in combination with the CS-15 iris rods. 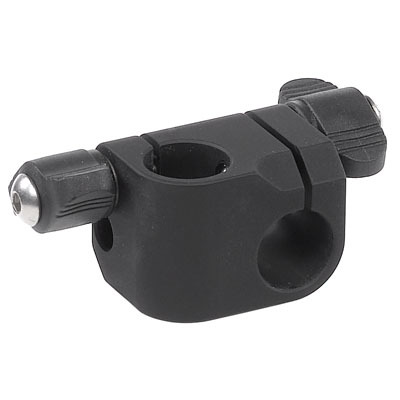 The slot in the CS-15 rod corresponds to the bearing in the CS-151 unit. When the slot is locked to a specific angle, the rotation angle of the CS-151 unit can be reproduced exactly. This makes it easier to reproduce the previous used setup of the rig, thus reducing the setup time. The wing knob features a lock that prevents it from falling of the unit when unloosening the clamp.